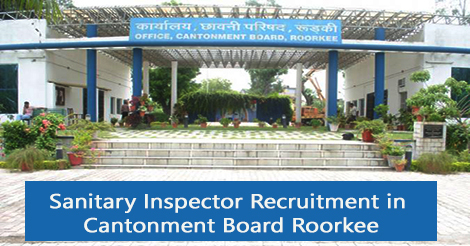 Cantonment Board Office, Roorkee invites applications for the recruitment of Sanitary Inspector. Roorkee Cantonment Board has released an advertisement for the recruitment at 1 post of Sanitary Inspector. Interested and eligible candidates can send their fully filled application forms by registered/speed post to following address. Applicant must attach attested documents, two latest passport size photographs indicated his/her name and address on back side only alongwith two self addressed envelopes, one self address post card & Bank Draft of Rs 250/- non refundable, in favour of CEO, Roorkee Cantonment Board, Roorkee. The applications should reach latest by 22 Oct 2016. Applicant may download the complete application format from the website www.cbroorkee.org or below link. 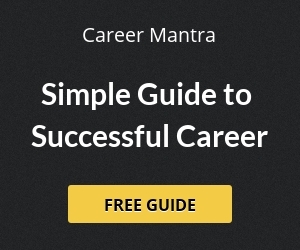 Help us to improve this article/job posting "Sanitary Inspector Recruitment in Cantonment Board Roorkee". We would be glad if you can comment below and provide your valuable suggestions and feedback. If this page have any wrong information/list or out of context content, then you can report us as well.